Property is increasing playing a part in retirement with a fifth of people over the age of 50 plan to use wealth gained in their property over the past 20 years to provide income. A study from OneFamily has found 19% of of those over the age of 50 are relying on income from property to fund their retirement. This amounts to about 3.9 million people accessing wealth either by downsizing their home, making buy-to-let investments or unlocking capital in their home using equity release. Property is increasingly playing an important role in later years with a third over 50s saying their pension and annuities will not be enough for them to live on at retirement. A quarter of over 50s who plan to use their property for retirement say it is a more reliable investment than pensions. The significant 300% rise in property prices over the last 25 years has resulted in many over 50s benefiting from large amounts of equity in their home. Over the last 25 years the average homeowner over 50 owns a home worth over £225,000 and benefited from a 300% rise in house prices. According to the Office of National Statistics (ONS), the UK’s over 50s own an estimated £2.3 trillion of the nation’s total £4 trillion property wealth. Currently only 15% of retirees use property to contribute towards their income and this is set to increase to 22% over the next decade. The most common ways people will use property to fund their retirement include a buy-to-let investment, which will account for 33% of the retirement income for those planning this option. About 1.8 million properties will be sold as over 50s downsize, accounting for 28% of the retirement income using this method. 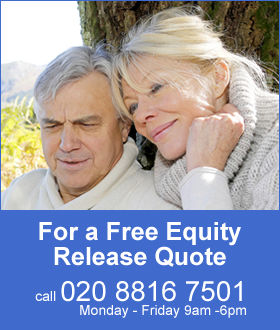 The over 50s are expected to use equity release accessing an estimated £37 billion by taking out lifetime mortgages. On average, a lifetime mortgage is taken out for just over £90,000 and over 50s planning to do it at some point estimate it will account for 28% of their retirement income. 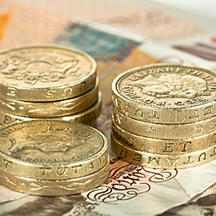 A recent survey from the Financial Conduct Authority (FCA) shows for people that are retired 44% say the State pension is the main source of income at retirement. For those over the age of 45 that are yet to retire, 29% still expect the State pension will be their main source of income in retirement. Pension freedoms have allowed people to access their pensions using flexi-access drawdown to meet their increasing income needs. Nici Audhlam-Gardiner, Managing Director at OneFamily said, It’s clear from the research that homeowners are seeing their property as a cash cow to fund their retirement, and with the dramatic house price rises we have seen, investing in property seems like a wise option. This is particularly true as we see income from pensions, both state and otherwise, beginning to decrease. There is a perception that investing in bricks and mortar is a better bet than pensions with 27% say their property is worth more for their retirement than their pension and 15% say pensions simply can’t be relied upon.